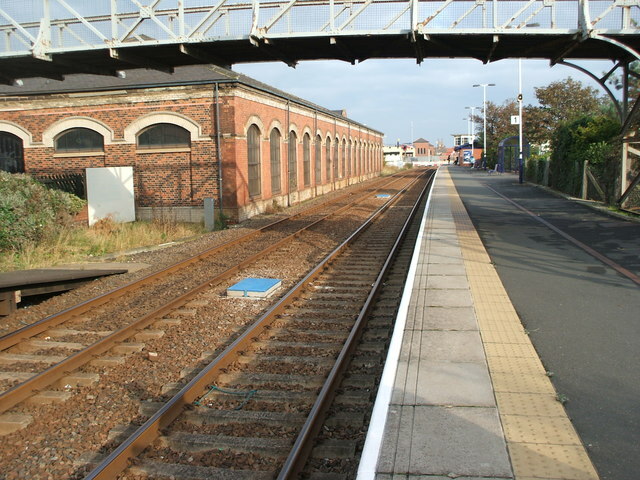 Redcar Central railway station serves the town of Redcar in the unitary authority of Redcar and Cleveland and the ceremonial county of North Yorkshire, England. 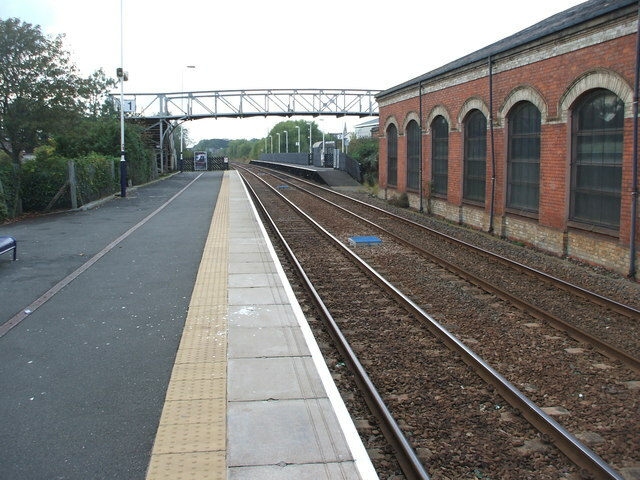 The railway station is located on the Tees Valley Line and operated by Northern who provide all passenger train services. Redcar Central has a staffed ticket office, open Monday to Saturday but not on Sunday. There is also a waiting room that is open Monday to Saturday. Unusually, unlike most stations, the two platforms are not opposite each other. Platform 1 is further west than the second and there is a bridge over the track which connects the two. 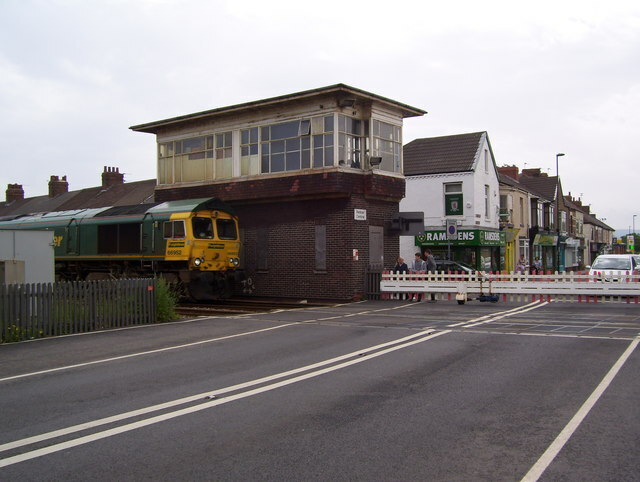 There is a level crossing over one of the major roads into Redcar at the end of platform 1 which can also be used to cross over the track. Nearby is the Redcar Station business park which houses a few local business units, contained within the old train shed. Station facilities here have been improved. The package for this station included improved Platform lighting, renewed station signage and the installation of CCTV. The long-line Public Address system (PA) has been renewed and upgraded with pre-recorded train announcements. The line into the town from the west was opened as the Middlesbrough & Redcar Railway on 4 June 1846. The company that constructed it was nominally independent, but in reality was backed financially by the Stockton and Darlington Railway and the Great North of England Railway (one of the constituent companies of the North Eastern Railway). The S&D had formally taken over by the time an extension eastwards to Saltburn was completed in August 1861 – this diverged from the original line just short of the existing terminus (part of which remained in use for goods traffic) and so a new through station had to be constructed. This was built in a similar style to that used by G T Andrews elsewhere on the NER, with an impressive frontage and overall roof. However it also had only a single platform (a configuration popular elsewhere on the S&D and NER), which led to congestion and delays during the summer months when traffic levels were at their heaviest. A second platform outside the train shed was eventually provided for westbound services by the LNER in 1935. 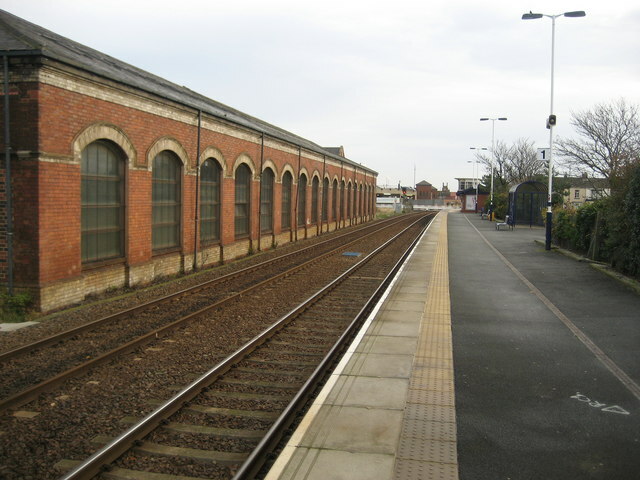 Today the original train shed is no longer used, a replacement eastbound platform having been constructed alongside it at the end of the 1980s. The station has a half-hourly service on weekdays to Middlesbrough & Darlington westbound and to Saltburn eastbound. One train every two hours to Darlington continues to Bishop Auckland. There is an hourly service on Sundays. 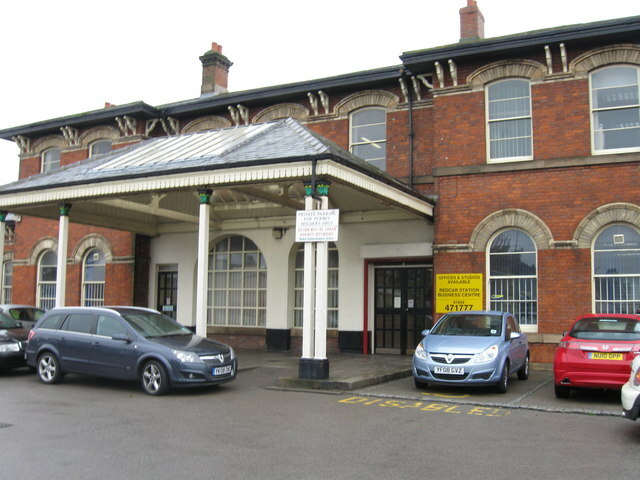 Visit the page: Redcar Central railway station for references and further details. You can contribute to this article on Wikipedia.